And whet your appetite! I am loving these Pita Bags that Ziva wrote about here. 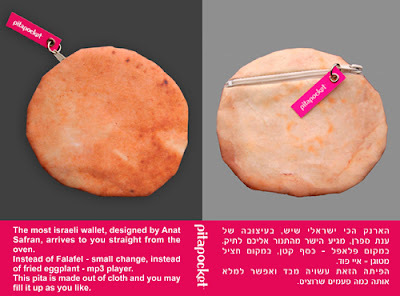 The Tel Aviv designer of the Pita Bags, Anat Safran, makes other handbags she calls Infobag, "the bag that makes you smarter." How? 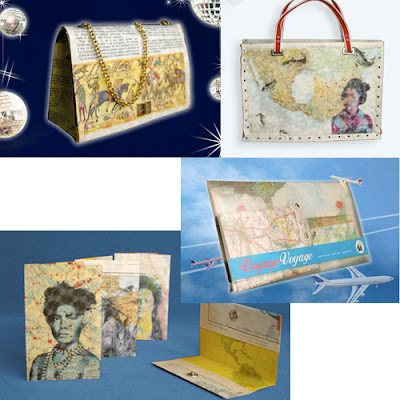 They are made from recycled encyclopedia pages. Brilliant. Are any of you old enough to have grown up with a set of World Books in your living room? I am! Those gold-gilded pages had the most magnificent illustrations. Wikipedia has made the paper version of the encyclopedia null and void but think of all the great bags Anat can make!